Career Nurturer answers career queries of students/parents in Bandra Buzz Newspaper – September 2013 issue, on Career Guidance Q&A. To seek admission to Aeronautical or Aerospace Engineering, your brother will have to give entrance exams such as JEE-Main after his 12th Science with PCM. I would advice to take Mechanical or Electronics Engineering for his Bachelors degree; and then if interested go for Aerospace or Aeronautical Engineering for his Masters degree. It is always recommended to do a core course in graduation and a specialization courses in post graduation. You can get the list of colleges from AICTE website. Remember, fascination for airplanes does not mean your brother will perform well in the course. Please consult a career counsellor and confirm if engineering is right option for your brother. Poor GK should not be the reason to drop out form civil services preparation. You need to put extra effort in improving your GK. Start reading the basics from various NCERT books, newspapers, and magazines. Also, solve previous years question papers. Other than medicine one can get into para medicine fields such as Physiotherapy, Occupational Therapy, Speech Therapy, Nursing, Pharmacy, Medical Laboratory Technology and Optometry. He may also look at options of such as biotechnology, biochemistry, genetics, microbiology, botany, life sciences and forensic sciences courses. Check out my article publication in Parsi Times Newspaper dated 21st September 2013, on Career in Pharmacy. Students who have completed 12th with Physics, Chemistry, Biology / Mathematics (PCB / PCM) can take admission to 4-year Bachelor of Pharmacy (B.Pharm) degree. This can be followed by a 2-year post gradation course in Master of Pharmacy (M.Pharm). At the M.Pharm level, you can specialize in Pharmaceutics, Pharmaceutical Chemistry, Pharmacognosy, Biochemistry, Pharmaceutical Engineering, Quality Assurance, and Pharmacology. Another option that is becoming popular is the 6-year integrated Pharma-D course (equivalent to B.Pharm + M.Pharm) which can be pursued after 12th Science (PCB/PCM). Remember, to get admission to all these courses, you have to give the entrance exams mostly conducted at the state level. In comparison to other medical and paramedical courses, pharmacy is not as expensive. Per annum course fees could range from around Rs. 15,000 to Rs. 1 lakh depending on the institute. Note of caution, while taking admission into pharmacy courses; please verify if the course provided by the college is approved by the Pharmacy Council of India (PCI). Some of the good colleges for pharmacy are: NIPER – Mohali, Bombay College of Pharmacy –Mumbai, JSS College of Pharmacy – Ooty, Pharmacy Group – BITS Pilani, Manipal College of Pharmacy – Manipal, DIPSAR – Delhi, and Jamia Hamdard – New Delhi. After obtaining your B.Pharm degree, you need to register as a pharmacist with the state Pharmacy Council, following which you can work as hospital pharmacist or community pharmacist in private or public sector. You may set up your own pharmacy or druggist store. Other than being a pharmacist, there are several other opportunities to explore. M.Pharm and Ph.D. holders can get into clinical research, develop new drugs, perform qualitative analysis, and monitor the conduct of clinical trials. You can work in government departments such as the Food and Drug Administration, Health and Welfare Department, Department of National Defense, Indian Railways and Provincial Research Councils. Pharmaceutical companies and contract research firms hire regulatory managers, quality control managers and inspectors. You could also work as a lecturer or professor in pharmacy colleges and universities. You may also look at jobs in sales- marketing and medical representation of pharmaceutical products. Medical transcription is also a career path that you can opt for. You should possess a scientific aptitude with a liking for life science and medicine. Good interpersonal skills, active listening skills and counselling skills are also important to succeed in this field. Other skills necessary are attention to detail, a good memory of various products, patience to deal with rude customers, sense of responsibility and analytical skills. If you want to start your own pharmacy store, then leadership skills and business acumen are also important. To be successful as a medical representative, strong communication skills and convincing attitude are required. Pharmacy professionals in the private sector can start with salary of around Rs. 12,000 to Rs. 25,000 per month. Those who get into research and development can earn around Rs. 20,000 to Rs. 40,000. Medical representatives work on a lower base salary but get additional incentives as per sales targets achieved by them. With experience, you can rise in these professions or can also start your own venture. Career Nurturer presents a video describing the wide range of services it provides in fields of career counselling, personal and professional development. Career Nurturer provides career guidance, aptitude testing, psychometric evaluation, career counselling for individuals ranging from students of Class 9th up to graduates and guides them towards the RIGHT Career Path. Career Nurturer also helps graduates, freshers, job seekers & working professionals in their resume writing and job interview training skills. Career Nurturer presents a video on Career Planning for Students after standard 10th. Career Nurturer provides career counselling, career guidance, aptitude testing, psychometric analysis for individual ranging from students of Class 9th up to graduates, and work professionals to guide them towards the RIGHT Career Path. NMIMS School of Business Management (SBM) announces admission to its Two Year Full -Time programs MBA, MBA – Banking, MBA – Capital Market, MBA-HR & MBA-Pharmaceutical Management at Mumbai campus and PGDM at Bengaluru & Hyderabad Campuses for academic session 2014-16. Admissions to the above SBM programs are through NMIMS Management Aptitude Test (NMAT) followed by Case Discussion (CD) & Personal Interview (PI). The online registrations for NMAT starts from 4th July 2013. 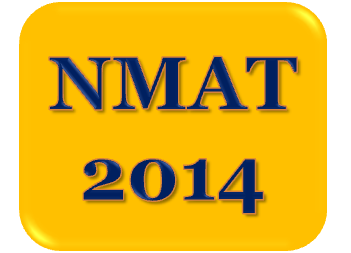 After the registration, students may choose test date within an NMAT test window period of 5th October to 18th December 2013.